Economics of Good and Evil; The Quest for Economic Meaning from Gilgamesh to Wall Street (2011) | Moral Markets? 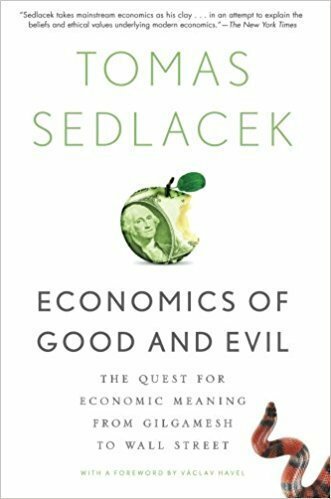 In The Economics of Good and Evil, Tomas Sedlacek radically rethinks his field, challenging our assumptions about the world. Economics is touted as a science, a value-free mathematical inquiry, he writes, but it's actually a cultural phenomenon, a product of our civilization. It began within philosophy—Adam Smith himself not only wrote The Wealth of Nations, but also The Theory of Moral Sentiments—and economics, as Sedlacek shows, is woven out of history, myth, religion, and ethics. "Even the most sophisticated mathematical model," Sedlacek writes, "is, de facto, a story, a parable, our effort to (rationally) grasp the world around us." Economics not only describes the world, but establishes normative standards, identifying ideal conditions. Science, he claims, is a system of beliefs to which we are committed. To grasp the beliefs underlying economics, he breaks out of the field's confines with a tour de force exploration of economic thinking, broadly defined, over the millennia. He ranges from the epic of Gilgamesh and the Old Testament to the emergence of Christianity, from Descartes and Adam Smith to the consumerism in Fight Club. Throughout, he asks searching meta-economic questions: What is the meaning and the point of economics? Can we do ethically all that we can do technically? Does it pay to be good? Sedlacek has shaken the study of economics as few ever have. Named one of the "Young Guns" and one of the "five hot minds in economics" by the Yale Economic Review, he serves on the National Economic Council in Prague, where his provocative writing has achieved bestseller status. How has he done it? By arguing a simple, almost heretical proposition: economics is ultimately about good and evil. 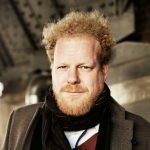 Placing the wisdom of philosophers and poets over strict mathematical models of human behavior, Sedlacek's groundbreaking work promises to change the way we calculate economic value. "For Sedlacek economics is not – or at least not merely – a science with its roots in the north-western fringes of Enlightenment Europe; it stands, rather, at the heart of every philosophy and religion since the first civilisations arose on the Mesopotamian delta. His book, accordingly, is effectively a critical history of western thought. The author [...] uses the attitudes of various cultures towards getting and spending as a thread on which to link his reflections. Moreover, unlike most books with large pretensions, this one is beautifully written and at least for the first two-thirds I could not put it down or turn my mind to anything else. [...] What moral does Sedlacek draw from this long, but necessarily abbreviated, history? Here is where disappointment begins. He has two conclusions. One is the inadequacy of contemporary mechanistic econometric models to interpret the world or to give on their own useful advice. The other is a stricture on the obsession with economic growth. The criticism is not that his conclusions are wrong but that he does little to persuade the reader who does not already agree with him. [...] On a more philosophical plane, I wish he would do a little more to honour the promise of his title and analyse the concepts of good and evil – on which both Thomas Hobbes and David Hume, who figure prominently here, had much to say. Nevertheless, for anyone whose range of interest extends beyond the latest twist in the Greek debt crisis or the possibility of a double-dip recession the book is still a compulsive read, from which we have to draw our own conclusions." "This book is well written and timely. [...] By starting from humanity’s oldest writings, the author is able to put current economic thought in perspective. In Sedláček’s view, knowledge of myths and stories is indispensable, even for economists. [...] The book is composed of two parts. In the first part Sedláček looks for the economics in myths, religion, theology, philosophy, and science. [...] Turning now to the second part of the book, in which the myths in economics are investigated, the first theme is greed. [...] I agree with Sedláček that economics should not be limited to mathematical models. However, I believe that in the practice of economic policy mathematical economic models do not actually play such a large role. Moreover, the limitations of mathematical models are already well known and economists have come to pay much more attention to empirical analysis (and the development of good data sources) and the qualitative analysis of institutions during the last decades. The boundedness of human rationality is also now widely recognized in economics (behavioral economics) and already influences policy advice, for example regarding pension systems. However, it is true that the translation of such realistic theories into policy analysis is still too limited. [...] Sedláček delves into ancient writings to provide us a positive view on life, while also recognizing the dark side of human nature and evil. The result is very inspiring. Nevertheless, the book leaves me with a number of questions. 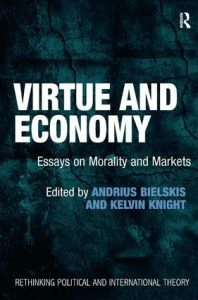 [...] Although Sedláček helps the reader to recognize that economics is filled with value-laden stories and thus to overcome the 'self-inflicted blindness' of contemporary economics, he does not deal with the moral question of which stories should be guiding us." "It is a big, rambling quest, and he yanks his readers along through economic perspectives, practices and meanings in the Old Testament and early Christianity, and in the writings of Plato, Aristotle, Descartes and others. [...] This is hardly the only instance when the book leaves its readers on one side of an explanatory chasm while it catapults across time, disciplines and topics, more often than not without much of a consistent line of reasoning in the process. That is unfortunate, because buried deep in the book are a few very important perspectives on our world’s volatile economic system. 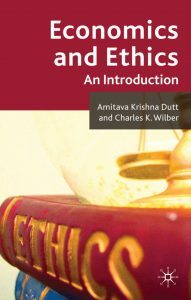 [...] IN many respects, the author has offered up a set of musings, many of which are energetic and enlightening in their appeal to the humanities. But the work’s contributions do not come cheap. Readers have to endure not only the absence of direction and analytic argument, but also frequent redundancies and narrative switchbacks. It all adds up to a worthy but exhausting journey." "Its big theme is that economics needs to rediscover poetry and myth. The book reads like the author’s own quest to be a good man although an economist (echoes here of Deirdre McCloskey’s ). Economics is definitely changing, iron grip of mainstream is weakening but I hope we don’t end up throwing out the rigour of conventional economics, which is the danger of this swing of the philosophical pendulum. Sedlacek rightly points out that we teach economics oddly, teaching only the one approach and with no history of thought to put that into context. Economics of Good and Evil was a best seller in the Czech republic almost certainly because there’s a big audience now for the idea that economics, the philosopher king, is wrong. 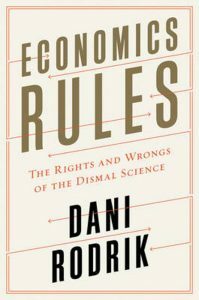 It’s an interesting book, but like many attacks on economics gives no hint of the reality of an exciting scientific renaissance in many areas of the subject, and widespread querying of the old and narrow orthodoxy." Or watch this longer lecture (1 hour) by Tomáš Sedláček. Tomáš Sedláček lectures at Charles University and is a member of the National Economic Council in Prague, where the original version of this book was a national bestseller and was also adapted as a popular theater-piece. He worked as an advisor of Vaclav Havel, the first Czech president after the fall of communism, and is a regular columnist and popular radio and TV commentator.